There’s still snow on the ground, but all of Minnesota looks to warmer days, green grass, and, of course, baseball season. 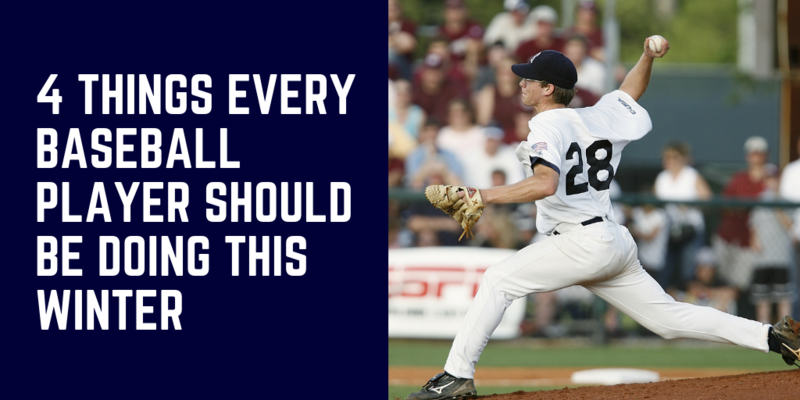 While it may seem like these days are far off, it is time for baseball players to start prepping for the upcoming season. Here are four things every baseball player should be doing this winter. What is one thing we don’t see many athletes doing? Mobility work. 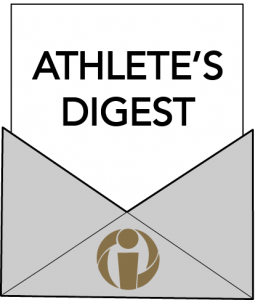 What is a major part of laying a strong foundation for a healthy body and maximizing athletic potential? Mobility work. Here are a few areas throwers should be working on during mobility sessions. Grab a tennis ball, lacrosse ball, or baseball and get ready to sweat! Throwing athletes should spend 10-15 minutes 3-4 days per week rolling out their pecs, posterior rotator cuff, lats, and upper trapezius. Move around until you find a tender spot, avoiding boney areas, and then sink into that tender spot. Hold for 30-60 seconds or until you feel that area loosen up. 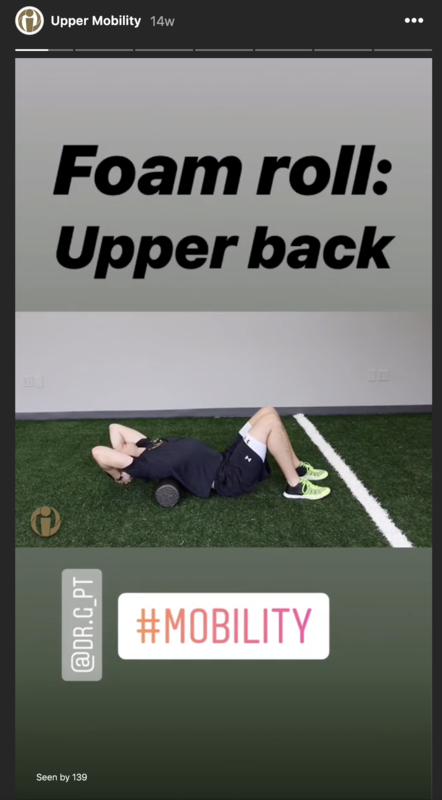 Click on the image to check out our upper body mobility instagram highlight for video instruction. Stiffness in the thoracic spine limits your ability to transfer energy from your legs to your arm and the ball. Using a foam roller or a peanut (two tennis balls taped together), roll along your upper back from between shoulder blades to bottom of rib cage. Then, lay on one side with knees pulled up to chest. Perform an open book stretch Open your top hand up towards the ceiling, keeping eyes on that hand, and then reach it over towards the ground behind you, with palm to the ceiling. Return to start position and repeat. This stretch helps improve your thoracic rotation to allow you to transfer energy more efficiently. 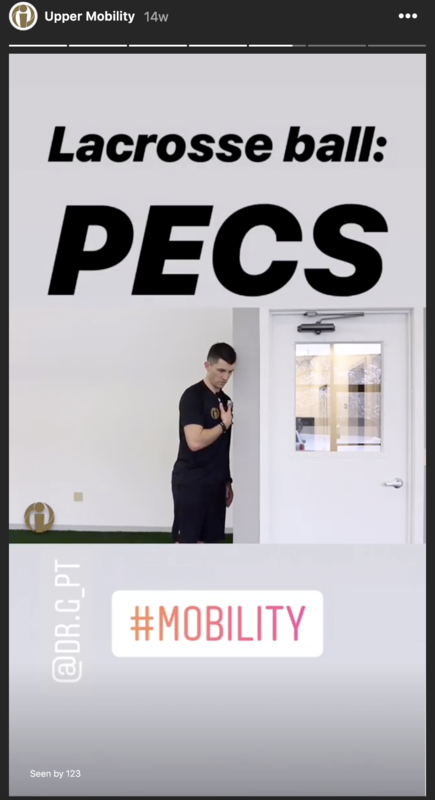 Click on the image to check out our upper body mobility instagram highlight for video instruction. 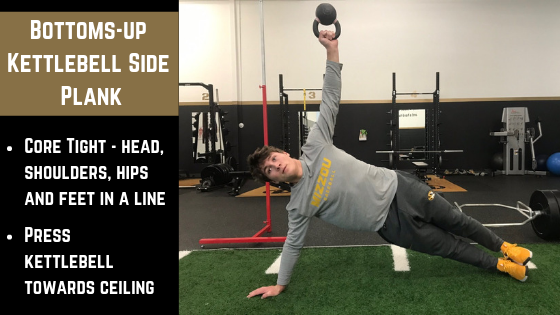 Nearly every high school and college baseball player is working on their shoulder strength with a series of band and shoulder squeezing exercises. The problem is, most of these exercises are performed incorrectly, are not progressed, and are not very functional! Here are some common offenders and how to fix them! Most throwers are familiar with this series of scapular stabilizer exercises, and 90% of them are doing them incorrectly! When “squeezing” their shoulder blades, most athletes squeeze them up and in, utilizing a commonly overused muscle, the upper trapezius. Dominance of this muscle in a throwing athlete can result in overuse injuries, like shoulder impingement and biceps tendinitis, as well as reduce efficiency of throwing mechanics. Instead, athletes should squeeze their shoulder blades down and in, like they are going to put each shoulder blade in the opposite back pocket. This activates the middle and lower trapezius, resulting in improved shoulder mechanics for shoulder health and throwing efficiency. 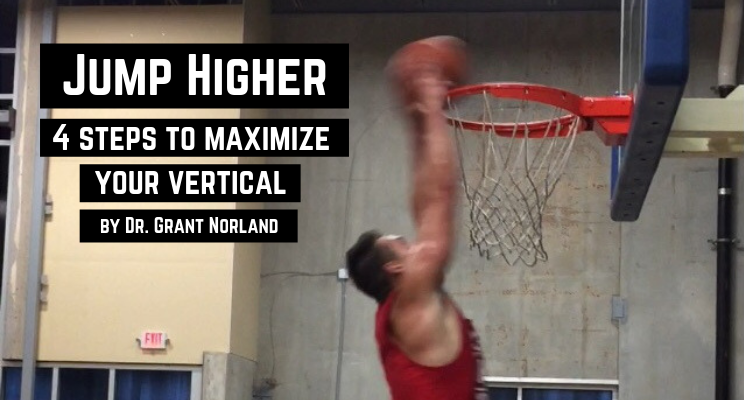 This is a staple in every thrower’s rehab/warm-up protocol, and is often performed lazily and never progressed. It also isn’t a functional exercise after the first few weeks of a shoulder rehabilitation. I don’t see many throwers keeping their elbow tucked into their sides, do you? If you must perform banded exercises, either while rehabilitating or as a part of a mandated warm-up, let’s at least perform it correctly. To perform banded external rotation, stand tall, squeeze your shoulder blades gently down and in, and then keeping your forearm parallel to the floor, rotate your arm out. Make sure to keep your shoulder blade set and elbow bent at 90 degrees. To progress this exercise, perform it in different planes, like with your shoulder at 90 degrees of abduction, or do it eccentrically. My biggest beef with banded rotation exercises is that they isolate the rotator cuff, which is good during rehab, but don’t utilize it in a functional manner. For the healthy athlete who is looking to keep their shoulder in good shape and improve their pitching speed, accuracy, and endurance, it is a more efficient use of time to perform exercises that make use of the entire arm and challenge the rotator cuff in a dynamic way, like banded PNF patterns and bottoms up kettlebell exercises for stability. The key to being an athletic, powerful baseball player is possessing the ability to transfer energy from your legs all the way out to the ball. The core is arguably to most important link in the chain that extends from legs to fingertips to ball. A stable core begins with learning how to activate the core properly and integrating that into basic floor exercises like Deadbugs, planks, and birddogs. When we have achieved a stable core in one plane, we can begin introducing rotary forces with anti-rotation deadbugs, cable rotations, and rotary medball throws. Baseball is a full body sport, so why would we focus on one very specific muscle group (typically the rotator cuff) and expect that to drastically improve baseball performance? These exercises integrate dynamic rotator cuff strength, scapular stability, and core stability to give you the most bang for your buck! 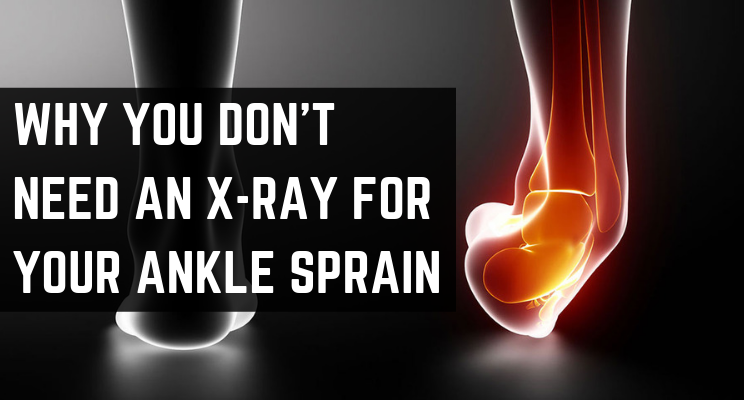 Most baseball players will move quickly to address pain in the shoulder or elbow, but what about a tight hip or an ankle that has been sprained several times ? While these issues may not seem like a big deal because they aren’t painful all the time or are far away from the “moneymakers” in the upper extremity, the body of a baseball player is an energy transmitting chain, and a weak link can be detrimental to overall performance and increase the risk of a serious injury. 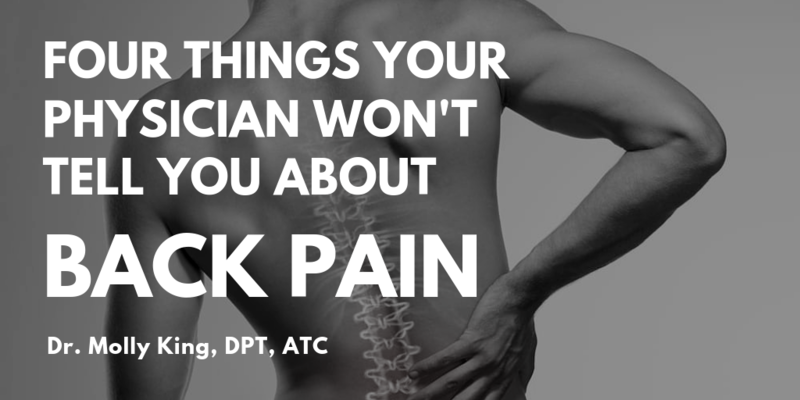 The off-season is the perfect time to take a step back, get a professional assessment with a physical therapist, and focus on injuries or restrictions in the body that may be limiting you from reaching your full potential.